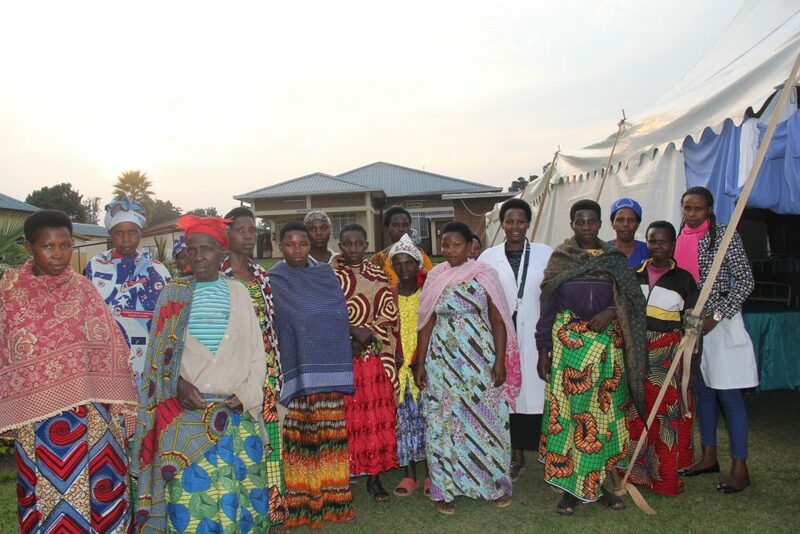 Women arrive at a hospital camp at Ruhengeli Hospital in Musanze, Rwanda, to be screened for surgical repair of obstetric fistula, a devastating childbirth-related condition. Dozens of women arrived outside of a tent in Musanze, Rwanda, for the chance to reclaim their lives. Many of the women were suffering with obstetric fistula, a childbirth-related injury that can result in incontinence and stench. Because of this, some had been living in obscurity; some had been shunned by their families and friends; and many of them had been struggling to live quiet lives despite the pain and shame. Globally, the World Health Organization estimates that between 50,000 and 100,000 women are affected by obstetric fistula every year. As a maternal health advisor here in Rwanda, in east-central Africa, I know the cause and effect of obstetric fistula, which is a tear in the birth canal resulting from a difficult and prolonged labor. I also know that many uncomplicated fistulas can be repaired surgically, freeing women from a life in the shadows. But, resolving this condition for thousands of women in Rwanda is a significant challenge because of a lack of basic surgical care. Providing basic surgery is a challenge that requires ongoing investments in training physicians and health teams to repair fistulas and perform other basic surgeries, equipping health facilities and empowering communities to support the necessary health services needed to heal women with fistulas. Rwanda has made significant progress in maternal and newborn health; for example, currently, 9 out of 10 births are assisted by a skilled birth attendant and occur in a health facility. Rwanda has also committed to ending all preventable maternal deaths and childbirth-related injuries, including obstetric fistula. Rwanda is making progress in this area—in 2014, 170 cases of fistula were repaired, up from 75 cases in 2013. While most uncomplicated cases of fistula can be treated with a simple surgical procedure, in some cases, women have lived with their fistula for so long or the injury is so grave that extensive care and further treatment are required. That was the situation for many women I met earlier this summer on the grounds of the Ruhengeli Hospital in Musanze, where 46 women had come with the hopes of having their condition repaired or treated. I was humbled by their courage in coming forward. I was also heartened by the presence of my Rwandan colleagues—three obstetrician-gynecologists who are trained in fistula repair, a general practitioner, six midwives and six nurses—who dedicated their skills and time on this particular day to help these women return to their families with dignity. 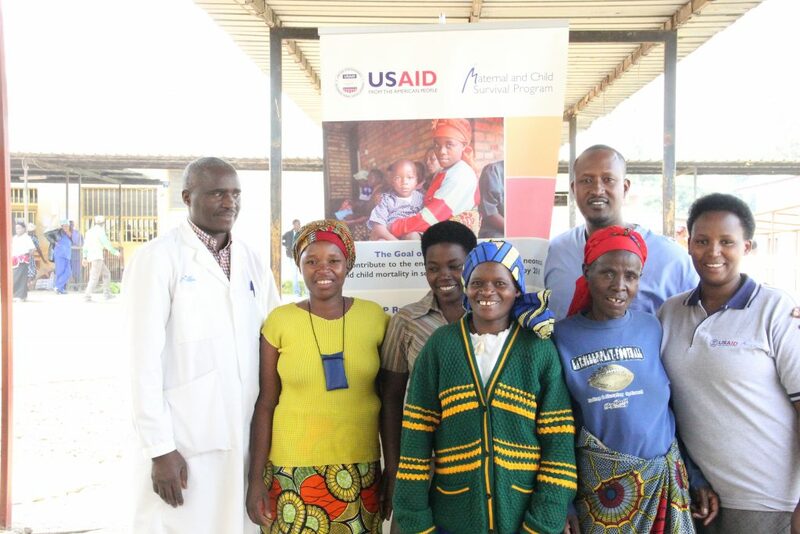 As part of MCSP’s mission to end preventable child and maternal deaths, the fistula repair camp was sponsored by the United States Agency for International Development’s flagship Maternal and Child Survival Program (MCSP), in partnership with the Rwandan Ministry of Health and the Ruhengeli Hospital. Four women who had successful fistula repair surgery thank Drs. Ndizeye Ntwali (right) and Valens Nsengiyumva (left) and the author (far right) for their care and treatment. Prior to the camp, the health care providers, supported by MCSP, which is led by Jhpiego, learned about fistula prevention and treatment through our Basic Emergency Obstetric and Neonatal Care and Community-Based Maternal Health program, which is being implemented in 10 districts in Rwanda. Our other activities included a public awareness campaign on fistula prevention, screening and repair activities. Of the 46 women screened during the summer repair camp, half were diagnosed with fistula and seven of these women underwent the simple surgical procedure. The others diagnosed with fistula required more advanced care and treatment; several received medication and counseling on managing their conditions while a few were referred to a larger hospital for more specialized treatment. Of the 23 clients screened with other gynecological problems, some were treated for their specific needs while others were referred to health facilities for additional care. For the women who successfully underwent surgery, like Claudine Mukabatsinda, their lives have been transformed. 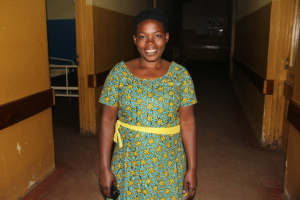 Claudine Mukabatsinda smiles after her successful fistula surgery, which was supported by MCSP. Claudine, a 28-year-old mother, was abandoned by her husband after her second baby died in a difficult childbirth and she developed a fistula. Her isolation and grief left her unable to continue her small business, and she returned to live with her parents, alone and hopeless. Thanks to the MCSP-supported surgical repair camp, she feels revived. “For me, having the fistula successfully repaired is like a miracle. I didn’t know fistula could be repaired. I had lost all hope to recover. Now I am happy and thankful,” she said. Fistula does not have to cause a lifetime of pain and shame. By providing surgical repair kits and other equipment for hospitals and advocating for fistula care and repair training for more physicians and health workers, we can ensure that more Rwandan women who need this surgery receive it in a timely fashion. Women in Rwanda deserve the opportunity to regain the lives they once knew—happy, healthy and hopeful. Gloriose Abayisenga is the Maternal Health Advisor in Jhpiego’s office in Rwanda. Jhpiego’s Victor Ndicunguye and Lisa Noguchi also contributed to this blog. National Institute of Statistics of Rwanda (NISR) [Rwanda], Ministry of Health (MOH) [Rwanda], and ICF International. 2015. Rwanda Demographic and Health Survey 2014-15. Rockville, Maryland, USA: NISR, MOH, and ICF International.